Join a whole stewpotful of gnomes for this very special episode of Gnomecast as dark mysteries are uncovered and secret truths are revealed. Is there anything that can keep our intrepid gnomes out of the stew this time? Keep up with all the gnomes by visiting gnomestew.com , following @gnomestew  on Twitter, or visiting the Gnome Stew Facebook Page , and check out Gnome Stew Merch , now featuring “I Survived Gnomecast #21” ! 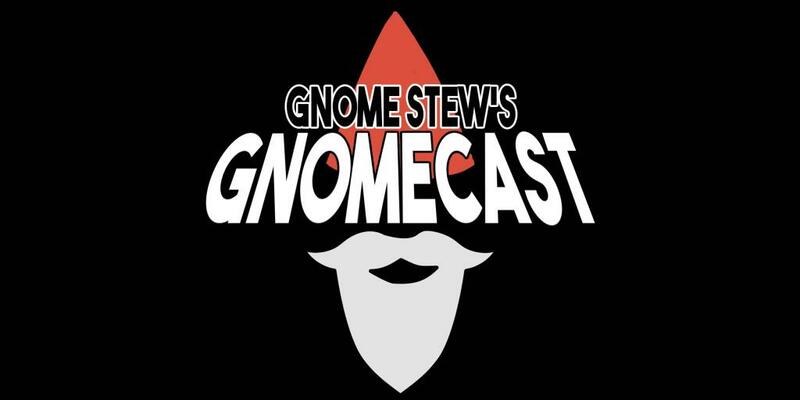 Super special thanks to all Gnomecast listeners and followers of Gnome Stew from our gnomes in this episode: Angela Murray, Avery Liell-Kok, Chris Sniezak, Jared Rascher, JT Evans, Kira Magrann, Matt Neagley, Rob Abrazado, Senda Linaugh, Taylor LaBresh, Troy Taylor, Wendelyn Reischl, special guest Camdon Wright, and Head Gnome John Arcadian. Thank you all for listening!